We have very limited quantity of these teas since we only selected them in a very short period from 9th to 13th of April. 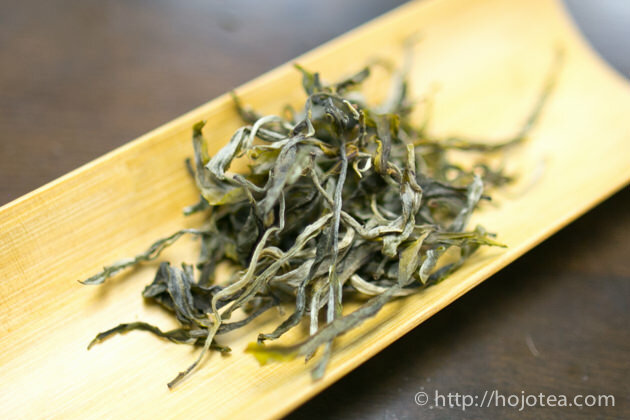 This was the golden week that the quality of tea was outstanding this year in Lincang region. The booking is opened until 3rd of June. However we will close the booking once the teas are sold out. If you are interested, please place an order as early as possible. 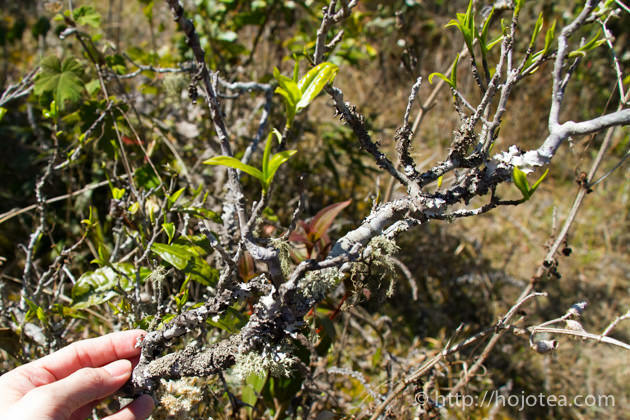 In Chinese, Bai Shu means white bush. In ordinary tea garden, tea trees are grown with standard agricultural practice which fertilizers are applied and tea trees may be pruned once a year. Those tea trees tend to have more brownish tree bark. However, if the tea garden is left in the wild for a long period of time without any human care, moreover it’s exposed to strong sunshine, the tea tree grows extremely slow and the tree bark turns white. 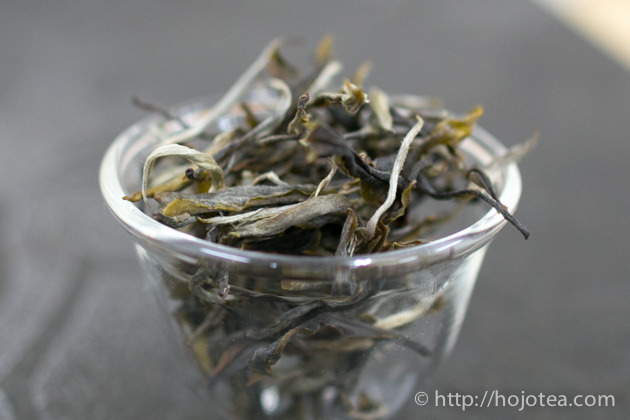 We selected those white tea bushes and collected tea leaves to produce this raw pu-erh tea. The Bai Shu raw pu-erh tea gives strong aftertaste. But that’s not all. 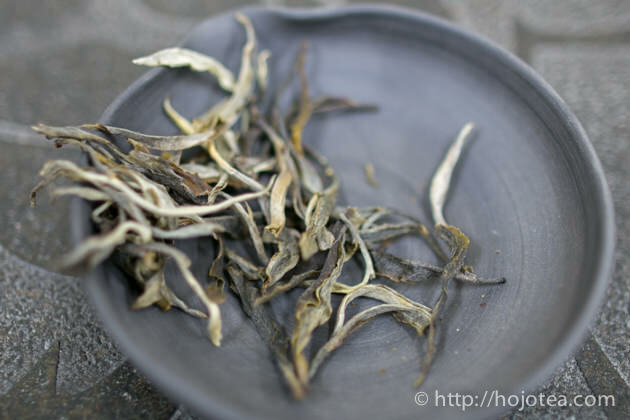 The main characteristic of Bai Shu is the clarity in taste. It gives very clear and transparent taste. I love to drink this tea when it is fresh. Nevertheless, it is an ideal tea to keep long term for further maturation. Due to the wild growing environment, this tea contains very high poly phenol and it contributes to the development of fruity flavor when tea is matured. Please refer the following article regarding the detail of Bai Shu Raw Pu-erh Tea. If you are interested to book this tea, please contact our shop, send us an e-mail/ Facebook message or proceed the payment by the shopping cart below. As usual, you will get one more set for free if you get 5 sets. This scheme is applied for both 100g and 300g. The price indicated is excluding the shipping fee. If you wish us to ship directly to your home address, the shipping fee will be added later. It is advisable to pick it up at our shop and try some new teas of 2017 at the same time. For oversea customer, please visit the following website. This year we developed a unique raw pu-er tea that the fresh tea leaf undergone exceptionally long withering for more than 12 hours. 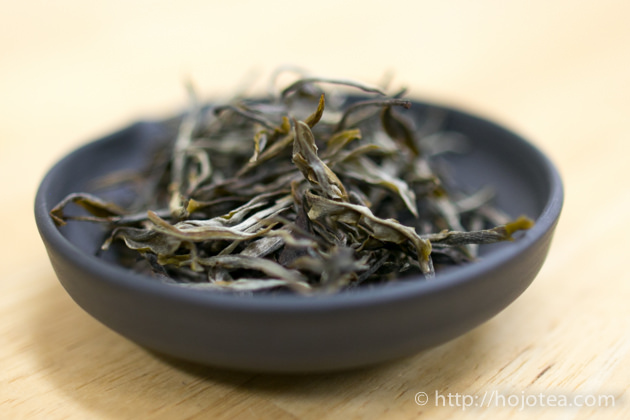 As a result, tea gives sweet floral flavor reminiscent high mountain oolong. Withering is the process to gradually reduces the moisture of tea leaf and triggers fermentation by dehydration stress. 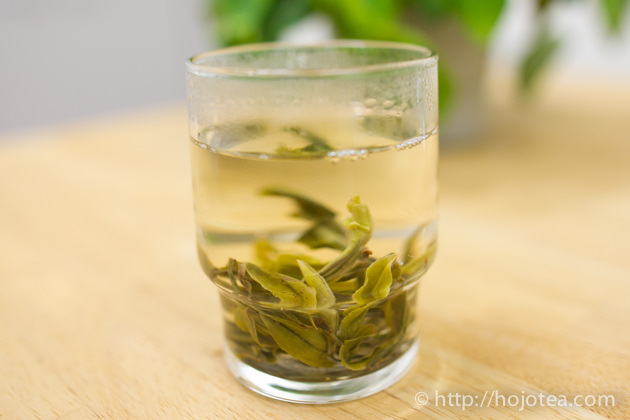 It converts the greenish flavor of fresh tea leaf into flowery or fruity flavor. 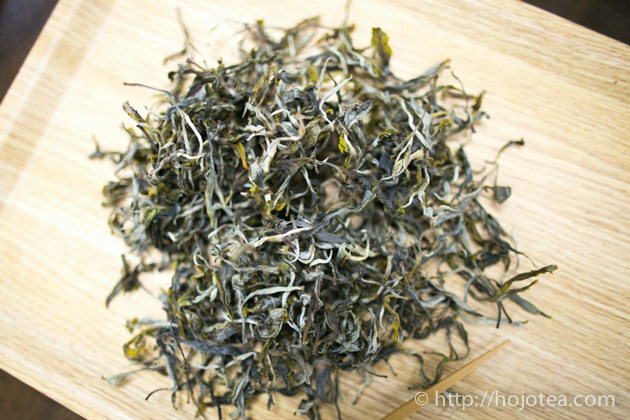 The withering is a very essential process for making black tea, oolong or white tea. However, in making raw pu-erh tea, most of tea manufacturers conduct withering only for about 3-4 hours. The main reason why they did not proceed longer withering is that the long withering drastically reduces the moisture of tea and it makes the pan-frying process very difficult. In addition, there is a limitation in manpower. In a daytime, almost everyone has to go to tea garden to harvest tea. Hence, there are a lot of difficulties for them to arrange withering till the next day in a daytime. In a way, the long withered raw pu-erh tea is very rare. The first sip does not give too overwhelmingly up-lifting flavor. Nevertheless, the flavor that bounced back is very unique. 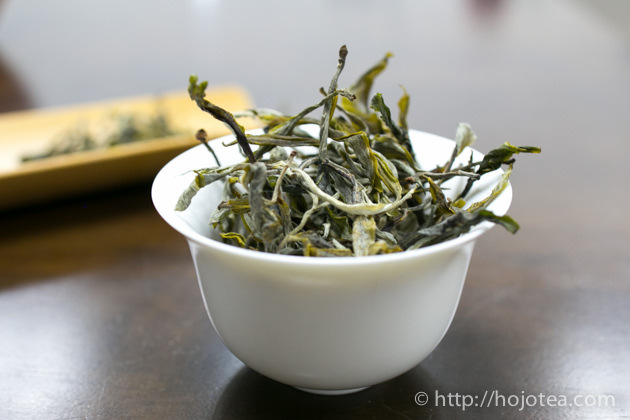 The lingering flavor gives distinctive floral aroma that reminds us of high mountain oolong like Taiwan Li Shan Cha. 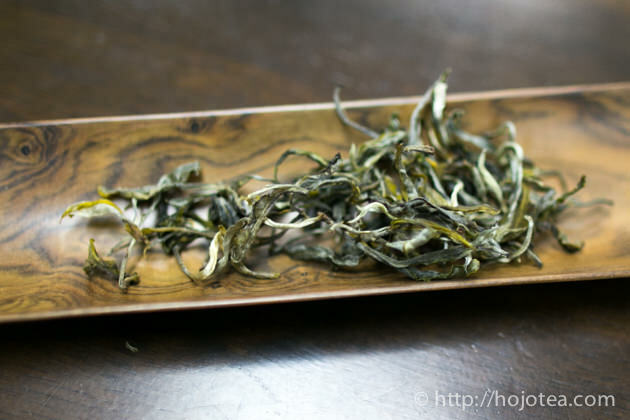 We collected the tea leaf from the mountain called Huo Cao Shan (火草山). It is located near Ma An Shan at the south west of Lincang. The tea garden is left without human care for many years until the extent that tea trees are completely back to the wild. We conducted withering for more than 12 hours in order to bring out the distinctive characteristic. The quantity of this tea is very limited. It may be sold out in a few days. If you are interested, please place an order as early as possible.